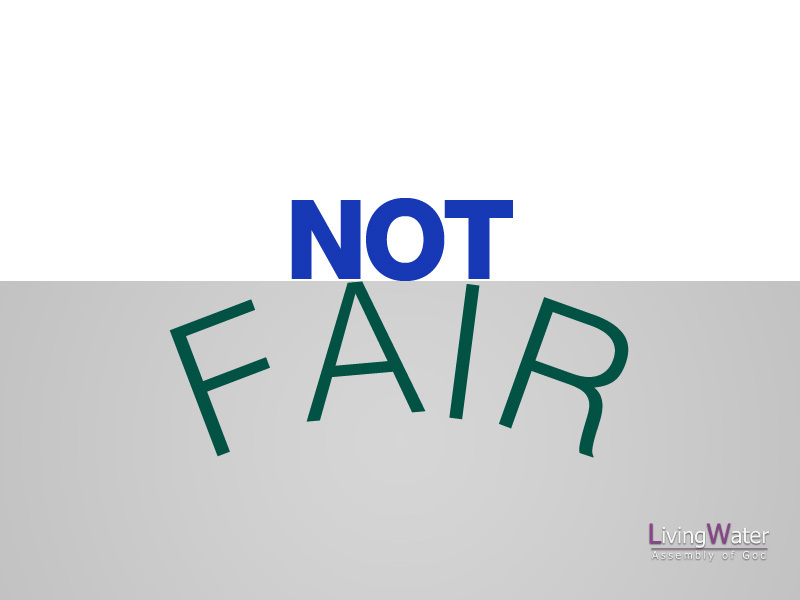 If God were into being “fair,” we would all be consumed by His judgment! We can be thankful for this: Psalm 103:1-10, “Bless the Lord, O my soul;?And all that is within me, bless His holy name! 4 Who redeems your life from destruction,?Who crowns you with loving-kindness and tender mercies, 5 Who satisfies your mouth with good things,?So that your youth is renewed like the eagle’s. 6 The Lord executes righteousness?And justice for all who are oppressed. 7 He made known His ways to Moses,?His acts to the children of Israel. 8 The Lord is merciful and gracious,?Slow to anger, and abounding in mercy. 9 He will not always strive with us,?Nor will He keep His anger forever. 10 He has not dealt with us according to our sins,?Nor punished us according to our iniquities. We should be glad, not grumpy, that God chooses mercy over fairness and that He is willing to extend grace even to those who are undeserving and hopelessly lost. And while we are thinking about it, when was the last time we let mercy trump fairness with someone who offended us? Matthew 5:43-48, “You have heard the law that says, ‘Love your neighbor’ and hate your enemy. 44 But I say, love your enemies! Pray for those who persecute you! 45 In that way, you will be acting as true children of your Father in heaven. For he gives his sunlight to both the evil and the good, and he sends rain on the just and the unjust alike. 46 If you love only those who love you, what reward is there for that? Even corrupt tax collectors do that much. 47 If you are kind only to your friends, how are you different from anyone else? Even pagans do that. 48 But you are to be perfect, even as your Father in heaven is perfect.” A person who cannot forgive has forgotten how great a debt God has forgiven them. Personally, I’m thankful that God has not been “fair” with me! Aren’t you?? We can show mercy to others because God has shown mercy to us or we can show mercy to others only if we remember that God has shown mercy to us.